There are many shows that were cancelled before their time. Such was the case with the quirky fantasy comedy Pushing Daisies. Charles In Charge premiered on CBS on October 3, 1984. It told the story of Charles a college student at the fictional Copeland College in New Brunswick, NJ who takes a job as a caretaker for Stan and Jill Pembroke to their three children Jason (Michael Pearlman), Douglas (Jonathan Ward) and Lila (April Lerman) in exchange for free room and board in the family’s basement. I was sadden to learn of the passing of comedian Garry Shandling at the age of 66. One of the most difficult aspects of life is change. People feel at a loss when the comfort of what they know and love is suddenly gone. Such is the case for Alex Dunphy and Modern Family‘s exploring of this theme delivered a funny, yet emotional episode. 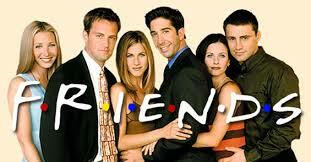 Ross, Rachel, Chandler, Monica, Joey and Phoebe. 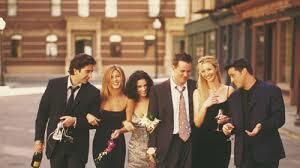 You may forget the names of your own friends over the years, but these are the names of friends who are unforgettable.